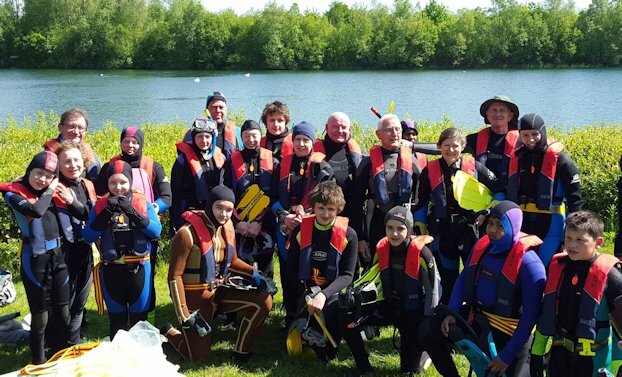 Welcome to the Ruislip Snorkelling Club web site. We hope that your experience with the club will be an enjoyable one. At the club our prime objective is to promote Safe Snorkelling and the overall sport of Snorkelling. We at the club are all members of BSAC (British Sub-Aqua Club), the sport's governing body. The club itself is affiliated to BSAC. A number of club members have come to us as junior members and have grown through the various stages of the club. Along with that we encourage the guardians of younger members to come and enjoy the sport as well. We welcome members from age 8 to 108. Feel free to navigate this web site and find out more about the sport of Snorkelling. If you would like to talk to someone about the club you can contact us on the following number: 07821 666812. Dates for the 2019 dives are on the events page. The committee for 2019 was elected at the AGM.